Murder is a heinous crime. But when a child is murdered what word does one use to describe how horrible it is? Detective Ari Greene must deal with his feelings about this murder while painstakingly working out who fired the shots on that fatal evening outside a donut shop. Meanwhile, evidence seems to point to Nancy Parish’s career criminal client Larkin St. Clair who claims his innocence. But doesn’t he always? This time, Nancy thinks he’s telling the truth. While she pieces together the sequence of events, Greene is doing the same and they both realize that some important pieces to this puzzle are missing. 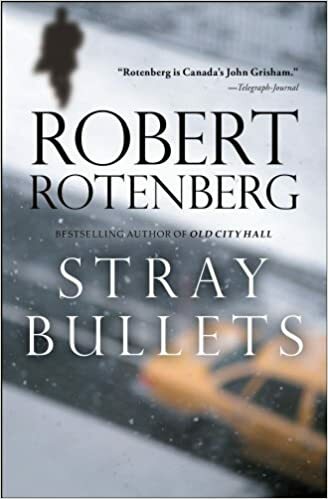 Rotenberg delivers another story that keeps the reader on the edge of his or her proverbial seat. As the story unfolds, it’s hard to know exactly which side to believe and that’s what makes this such a compelling read.